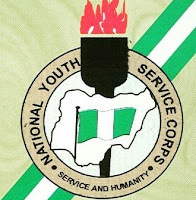 Home Education Questions and Answers NYSC Official Updates How to Reduce Age for NYSC: Error in Date of Birth or Over-aged? How to Reduce Age for NYSC: Error in Date of Birth or Over-aged? Let’s talk on how to reduce age for NYSC if you’re over-aged now or there’s an error in the date of birth submitted to NYSC. This is an issue for graduates who worries they may not be allowed to serve because they are more than 30. The age to be exempted from the NYSC is 30. This doesn't mean you won't be mobilized if you're exactly 30. It means once you're a day older than 30, you're exempted. In other words, if you're 30 by the year of birth but lower than that by day or month, you're still qualified to serve. Another point is it's possible you'd registered for NYSC before you're 30 but for one reason or the other (school clearance issues, accident etc) you couldn't go to camp. And now you're more than 30 or 31, you'll still be allowed to serve. The date reconsigned is the date on the day of registration not the date of entering the camp. For the purpose of NYSC registration, the body will have two of your records with them – the JAMB records and your university or polytechnic records. They make use these to have your some basic bio-data automatically uploaded to their registration portal. Hence, you can’t change the date of birth while filling the online form. If there is an error in the date of birth on your JAMB or your school sent wrong date of birth to NYSC. For example. You’re 23/04/1997 but the error reads 25/04/1997 or you’re 30/07/1995 but the error is 30/05/1995 or you’re 13/12/1994 but the error is 13/12/1995. These kinds of errors don’t call for worries. Why? As at now (2019), your age is still below 30 years recommended for NYSC. The error is just in date (even if in month or year). It doesn’t matter because NYSC won’t need your date of birth for anything else than mobilization registration – your certificate won’t bear that or any official NYSC credential for that matter. And thank God it’s not over 30! Hence, you don’t need to worry yourself. Continue with your NYSC and see in camp. This can be as a result of JAMB date of birth error or school senate list error as earlier said. If this happens before NYSC mobilization registration starts, you have three options. I will discuss the three ways out below. But how will you know they’ve given you a wrong date of birth/over-age? Most schools will upload their senate to the school portal for graduating students to check their information that will be sent to NYSC. Through this you should be able to detect such an error. Report to the Right Office: If your school upload the mobilization list for you to check and you spot the over-age issue or wrong date of birth, be quick to report to the appropriate office for correction or take actions based on the instructions given on the school portal. Use JAMB Regularization: if you’d gained admission directly to the school without JAMB and you need to do JAMB regularization, this is an avenue for you to use the right date of birth or change it to the one within the age bracket. JAMB regularization is like registering for JAMB after already graduated. You can take advantage of that to amend things. Yet, this not opened to those who gained admission directly through JAMB and to the same school and course. Change Date of Birth on NYSC Portal: You can use the NYSC recommended change of date of birth method. That you will use when the mobilization registration is completed. The facility will be opened to you as soon as you complete your NYSC online registration. What if you’re Truly Overaged? Every situation being covered above has to do with error in your birth day – either through JAMB record or school’s. What if you’re overaged and you’re not to serve. But all you’ve ever wanted was to serve by whatever means possible? What do you do to achieve this after being 30 or more? This is difficult and nearly impossible. Yet, I have seen people who manipulate their ways out of this. That’s why I will suggest the following approaches. Since NYSC is either using the date of birth on your JAMB result or that of senate list submitted by your school, you can still follow the solutions 1 and 2 recommended above. The school can help you change things before forwarding the list. But this must be done long before NYSC starts online registration. And if you’re lucky to be a regularized candidate, use that to change things with JAMB. You can’t use change of date of birth method by NYSC (solution 3 above) because you’re truly overaged and the same date of birth is on WAEC or any used SSCE result.